BUT. We need not abandon all hope. Over the next several weeks, we will be acquiring some materials to create lightweight growing conditions FOR ROOF PURPOSES, even though we have no roof. The proposed solution? RooFood demonstration on campus level. We make it look great and people will really visualize and pay attention to (fingers crossed) our efforts to bring suitable urban gardening to the community. Thoughts? Concerns? Ideas? Call me (Abi) and we'll discuss them. If you are interested in food issues, check out the October 12th edition of the New York Times Magazine here. It includes articles by Michael Pollan and Mark Bittman about national food policy, agriculture in Africa, and agribusiness. The recent garden produce sale grossed $81.50 we can recycle back into garden work! Also, we're told leftover CSA produce is selling well at CoreFoods, contributing more to CUFSP' s solvency. Don't miss out on tonight's CUFSP meeting! We'll be digging in to winter garden planning and joining garden and advocacy forces to make our efforts more effective. Grant Houses Garden participants will be discussing grant applications, rescheduling the youth trips, connecting with residents, planning the communal meal, and discussing garden design issues. 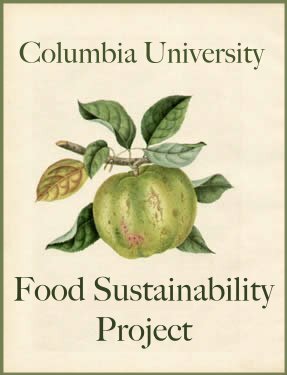 Also, keep note that October 14th is a Harvest Dinner of local foods at Barnard, and the next three Saturdays the Barnard EcoReps will be leading tours of NYC Greenmarkets. Lastly, check out this article about how a Vermont town is experiencing a resurgence through cooperative efforts to develop their local foods system. It's food and economics at its finest. Come please if you can!!!!!!!! I'll bring goodies again.